Possibly you have suddenly lost your Toyota car keys and want the keys to be replaced or repaired? You won’t need to need to go through much difficulties to replace that car key with our services. AZ Car Keys will come help you without delay and replace missing Toyota car keys in Phoenix, AZ. Today, there are many Toyota cars on roads around the world. And if you need a spare key or you have misplaced one, you may need to consider the available options. Moreover, after you have recovered your stolen vehicle it is important you re-key it. Re-keying the car means that the locksmith will re-configure your locks so that any current key won’t work. And if your vehicle has a computer chip key the locksmith will reprogram the vehicle so that the missing car will never work. Another important thing to consider is the vehicle’s remote control which they can turn off if you have misplaced it. Toyota has been producing vehicles with several different types of keys. These keys include the transponder keys, the standard metal keys, proximity keys and Vehicle Anti-Theft Systems (VATS) keys. There are two main types of Toyota Car transponder and metal keys which include the laser cut and the regular cut. The metal key is generally a metal key which starts a vehicle after you have inserted it into your car’s ignition system and turned it. You can prevent another person from using the metal key by simply disabling your vehicle’s ignition system ability to turn. In 1998, Toyota started using transponder chip technology as a way of making their car models more secure. As a result, replacement keys became more expensive and vehicle stealing became harder. The earlier Toyota vehicles that came with the chip key didn’t allow any addition or deletion of keys from the computer with standard diagnostic machinery just like any other earlier vehicle does. This means that if you happen to lose your chip key, the only options will be to replace your engine control computer which is the part of your car which stores key database and also to re-flash the engine control. In other words, the vehicle dealer will over-write current data in the computer chip with new data. You can think of it as a reset – like formatting the hard drive of your home computer. Toyota started using smart keys around the year 2000. This type of keys allows the user to keep the key fob in their pocket or their purse and to press a button or touch them whenever they are starting the engine. A locksmith can program a spare smart Toyota car key if you need it. This Toyota car keys feature chips embedded in the key’s plastic body. 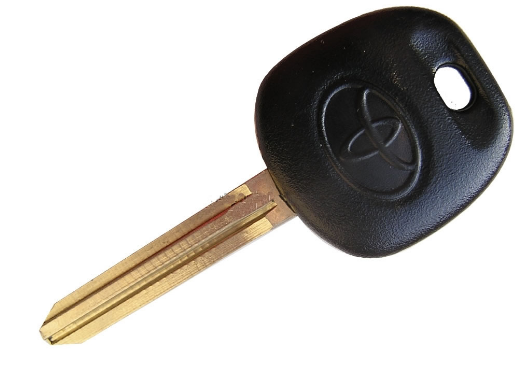 This type of key which Toyota introduced in the year 1995 has a passive chip which doesn’t need a battery. Your car computer reads the code after you have turned the key in the vehicle ignition. And if the vehicle’s transponder is broken or missing, the engine will not start and you will therefore need to reprogram the vehicle’s immobilizer control unit after you have obtained another key with a different code. Almost every Toyota car has a remote control to turn off the alarm and to lock or unlock the doors. The controls are very convenient even though they have some drawbacks. There are some that use infrared but most of them use radio transmitters to send coded signals to a receiver mounted on the vehicle. Operating frequency of these transmitters is usually between 418 MHz and 433 MHz and is closer to those that radio amateurs, MoD communication and some other applications use. As a result, you should expect interference and in worst cases it can be hard to unlock your vehicle. 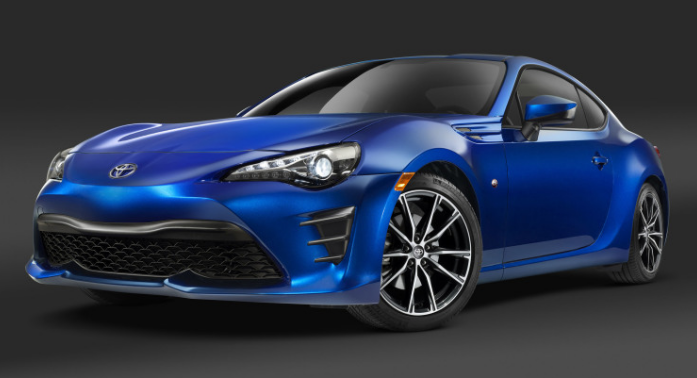 The recent Toyota models are less likely to suffer from the radio interference, but you should expect the problem with the older models especially those released before 1995. The vehicles with remote central locking have a bypass system which allows use of normal metal key to unlock the door without necessarily turning off the alarm. The earliest transponders from Toyota use fixed codes which use a fixed code. In other words, they send the same code signal each and every time the driver uses it. But the models they released after 1999 have rolling codes which means that the transponder code changes each and every time the driver uses it. The rolling codes enhance the vehicle’s security but are also more expensive to replace. If you are one of the many people who lose keys from time to time, you can save money by having a third key. And because most models have two keys, you will need to reprogram a third one. Call AZ Car Keys Today For Replacement Toyota Keys! AZ Car Keys are the best! I lost the key to my Supra and thought my life was over (Not literally of course). So I found these guys online and decided to give them a call and I'm happy I did. These guys were affordable and had me a new key ready in no time. Thanks AZ Car Keys!